Handpicked, wild harvested and delicately roasted cashews with wild coconut chips. Packaged in East Bali, Indonesia by a small socially conscious company empowering the local community through farming and education initiatives. Preservative and pesticide free. No artificial colours or flavours. Gluten Free. Vegan. 35g snack size. 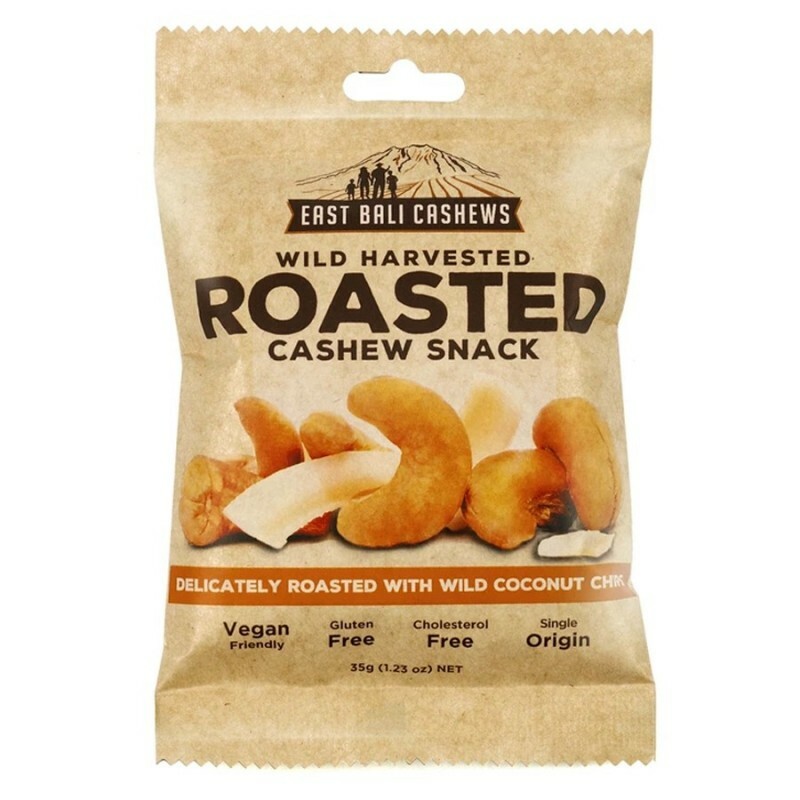 35g packet: Cashew nuts (60%), Coconut chips (40%)(Coconut, can sugar,sea salt).